If you are a U.S. citizen or a resident alien, you are subject to U.S. income tax on your income, regardless of where you are living or where you received the income. While foreign income is not subject to U.S. tax if you meet certain specific time requirements outside the U.S., you still need to report the income on your personal income tax return. The only method to exclude any foreign income from U.S. tax is to file a tax return and claim the foreign earned income exclusion. It is possible to pay no tax on foreign earned income for as many years as you choose to live out of the U.S. by meeting certain time requirements for being outside the U.S. and filing the correct IRS forms. It is also possible to offset U.S. income tax by applying the The Foreign Tax Credit for any taxes paid to a foreign country. It is estimated that over nine million U.S. citizens are living outside of the United States. Most of us haven't seen that the back of our passports say, "All U.S. citizens working and residing abroad are required to file and report on their worldwide income". The U.S. tax system is unique in that it applies to individuals through citizenship and residency, while most other countries only use place of residence to determine taxable income. The U.S. is one of only two countries that have a citizenship based taxation system rather than the more common residency-based system. This means that the taxpayer does not need to live in the U.S. or have U.S.-sourced income to be subject to U.S. taxation. For tax purposes, a U.S. citizen is considered to be a "U.S. resident" for tax purposes even if he or she does not spend time in the U.S. or have an abode in the U.S. An individual cannot be a U.S. citizen and be classified as a nonresident alien for tax purposes. A taxpayer's status is generally determined on a year-by-year basis when determining residency; however, a taxpayer may be considered a dual-status resident if his or her status changed during the year; for example, he expatriated. There are three general ways to become a U.S. resident for tax purposes: being a U.S. citizen, being a permanent resident (Green Card holder), or passing the substantial presence test. The first two are the simplest, as there are no calculations required; U.S. citizens and permanent residents are tax residents of the U.S. by default, regardless of the number of days spent in the U.S. A person does not need to hold a valid U.S. passport to be considered a U.S. citizen; they could have obtained it through a variety of methods (born on U.S. soil, birth to a U.S. parent, or naturalized). The substantial presence test is is the most difficult to determine because it relies on a complex formula rather than a simple yes or no question. The substantial presence test formula is calculated by determining the total number of days spent in the U.S. during the current tax year in addition to the prior two tax years. If a person meets the substantial presence test, he or she is considered a resident alien for the tax year and has the same tax obligations as a U.S. citizen or permanent resident. Someone who is not a resident is considered a non-resident alien. Nonresident aliens may still have reporting requirements if they have U.S.-sourced income. The filing requirements of Americans living abroad are the same as if they resided in the U.S., except for some minor differences such as the applicability of the foreign earned income exclusion or the filing thresholds of Form 8938 (Statement of Specified Foreign Financial Assets). All U.S. tax residents must report their worldwide income. In some cases, and individual may be below the filing threshold and not have a filing requirement. Even if someone does not have a filing requirement, I advise someone in this situation to file anyway. This is often referred to as a protective return: as it can help protect the taxpayer from future audits or IRS disputes by showing no liability. There are some special considerations for taxpayers abroad that can be used o offset their tax liability. The two most common methods are the foreign earned income exclusion (Form 2555) and the foreign tax credit (Form 1116). The foreign earned income exclusion (FEIE) allows an individual to exclude foreign-earned income up to the exclusion amount, which is set annually by the IRS and is generally increased each year to adjust for inflation. The FEIE amount has increased the past several years from $99,200 in 2014, $100,800 in 2015, $101,300 in 2016, $102,100 for 2017, and $104,100 in 2018. This FEIE can only be applied to "earned" income, such as wages or self-employment income (meaning you are not allowed to contribute to an IRA unless you have income over this threshold which is not excluded from income. It cannot be applied toward any sort of passive income, such as dividends, interest, or royalties. The location of where the services were performed-not the source of payments-determines the "foreign" component of the FEIE; i.e. the services performed must have been performed in a foreign country. It is not possible to carryforward or carryback any unused portion of the FEIE. It should also be noted that the FEIE cannot be used to exclude income from self-employment tax; it can, however, be applied toward self-employment income. The FEIE is claimed by filing Form 2555 with your tax return. A person's eligibility for the FEIE can be determined by passing one of two tests-the physical presence test or the bona fide residence test. The physical presence test is based on the number of days a person was present in a foreign country during a 12-month period. While the 12-month period does not have to be a calendar year, the person does need to spend at least 330 days in a foreign country or countries during a 12-month period to qualify. A few nuances worth mentioning are that an individual cannot count time spent in international waters or airspace toward the 330 days because it is not considered presence in a foreign country. A day that consists of time spent in a foreign country in combination with international waters or airspace does not count towards the 330 days. I have seen many clients complicate their lives by miscalculating their travel dates; therefore, I always recommend having them keep a detailed travel calendar to record their physical location. The bona fide residence test is different than the physical presence test in that it does not involve a calculation, but rather looks at the specific facts of an individual's situation. The taxpayer must be a resident of a foreign country for an uninterrupted period that includes an entire tax year in order to qualify. It is generally not possible qualify for this the first year abroad because people don't usually move abroad on January 1; however, it is usually the preferred choice over the physical presence test because of less restriction on travel. The bona fide residence test considers the intention or purpose of the trip, as well as the nature and length of the stay abroad. When claiming the FEIE pursuant to the bona fide residence test, the taxpayer must disclose his or her type of living quarters, visa status, contractual terms, and tax status in the country of residence. The IRS uses the information reported on Form 2555 to determine bona fide resident status. These determinations are made on a case-by-case basis. Generally speaking, someone with a permanent place of work and permanent residence in a foreign country should be able to qualify for the bona fide residence test; provided they have been a resident for at least an entire tax year. Foreign tax credit (FTC) is available to taxpayers when they pay foreign income tax. The taxes must have been paid or accrued during the applicable tax year. FTCs are used to offset a taxpayer's U.S. tax liability. FTCs often offset the entire U.S. tax liability when the taxpayer has a higher tax rate in his or her country of residence. The FTC method is an alternative to the FEIE (for earned income) because the FTCs cannot be used for any amounts excluded under the FEIE. FTCs can be used in addition to the FEIE when the taxpayer's income exceeds the FEIE. The FTC will only be applicable to the income in excess of the FEIE. Unlike the FEIE, unused FTCs can be carried forward 10 years and back one year. FTCs exist in different categories, the most common being the general income and passive income categories. You can only apply FTCs within their respective baskets; for example, an individual cannot use FTCs for taxes paid on dividend income to offset self-employment income, because they are different categories. An individual receives FTCs based on the amount of foreign taxes paid or accrued; therefore, the FTC method is more or less useless for individuals in tax-free jurisdictions unless they have FTC carryovers. 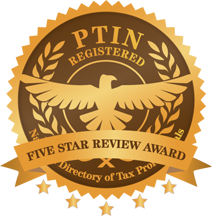 In my experience, I have found the FTC method to be the preferable option when the taxpayer's foreign income tax paid exceeds their U.S. income tax, as it does not require as much information as Form 2555. There are no travel dates to track or residency requirements to determine when claiming the FTC. In many cases, an individual can benefit from both the FTC and FEIE, but one option usually proves itself to be more beneficial than the other The taxpayer's long-term plan should be evaluated when choosing which method to use. Once taxpayers begin using the FEIE method, they are considered to "revoke" their election once they switch to the FTC method. Once the FEIE method has been revoked, a taxpayer needs to wait five years, or apply for IRS approval, to switch back to the exclusion. There are no such provisions to switch back to the FTC method. The FEIE and FTC methods are powerful tools to help minimize a taxpayer's U.S. income tax liability, however neither may be used to offset the 15.3% self-employment tax. This is often a surprise to taxpayers because far fewer are familiar with self-employment tax in comparison to income tax. The U.S. does have a wide network of "totalization agreements" with foreign governments, which allow taxpayers to avoid U.S. self-employment tax when they are covered by another country's social system. In order to claim an exception from U.S. self-employment tax, a taxpayer must obtain a certificate of coverage from the foreign government under whose system they are covered. A copy of the certificate is submitted with the tax return as proof that the taxpayer is not required to pay the tax. Obtaining the certificate is not a quick process because it often takes some time for regulations have been put in place allowing certain individuals to be exempt. Americans which are a considered bona fide residents of a foreign country or pass the physical presence test are permitted to file Form 8965 (Health Coverage Exemptions) claiming such an ACA exemption. Taxpayers may be subject to ACA penalties if they do not have a qualified healthcare policy or qualify for one of the exemptions. The Report of Foreign Bank and Financial Accounts (FBAR) requires U.S. persons to report signatory authority or financial interest in foreign bank and financial accounts. It is important to understand that the FBAR is not a tax return and does not involve reporting income or paying tax. The FBAR is not submitted to the IRS; it is submitted directly to the U.S. Department of the Treasury. The FBAR reports the taxpayer's foreign financial accounts account number, institution details, and maximum account balance during the year. The reporting threshold is $10,000; this calculated by aggregating the values of all the taxpayer's foreign financial accounts. Some common examples of foreign financial accounts include, checking accounts, savings accounts, brokerage accounts, life insurance with cash value, and private pensions. Two commonly missed account types include security deposits on rental property and children's savings accounts, which parents have signatory authority over. many practitioners struggle to understand the meaning of signatory authority since it can include accounts the taxpayer has no financial interest in; e.g. if a taxpayer has the power to sgn on their employer's company account, a club account, or even an elderly parent's account, it needs to be reported. I encourage all my clients to always file an FBAR regardless their balance due to the high penalties that can apply for failure to disclose accounts. Penalties are levied per account per year, and are quite harsh. For example, there can be a $10,000 per account per year penalty, a penalty of 50% of the balance of the unreported account s per year, as well as criminal charges. When the Foreign Account Tax Compliance Act became law in March 2010, it introduced a plethora of new reporting requirements for individuals, entities, and foreign financial institutions. One of these new filing requirements for individuals, entities, and foreign financial institutions. One of these new filing requirements for individuals was Form 8938. This form overlaps with the FBAR in several ways, however, requires a wider range of asset to be reported. Not only do foreign financial accounts need to be reported, but also foreign stock and securities, ownership in foreign entities, financial instruments, and certain foreign insurance policies. There are different filing thresholds for Form 8938 depending on the taxpayer's filing status (single, married filing single, or married filing jointly) and place of residence (u.S. or foreign). A higher filing threshold exists for foreign resident who meet the bona fide residence or physical presence test. When a taxpayer is close to the threshold, the asset values at different points in the the year must be carefully tracked to compare the end--foyear value against the maximum value during the year. It should also be noted that special rules for allocating asset ownership between joint owners, including spouses, need to be observed. Similar to the FBAR, failure to properly file the form can lead to extremely high penalties. In addition to penalties, failure to properly file Form 8938 can result in an unlimited extension of the statue of limitation; meaning the IRS may audit you 20 years down the road. There is a series of international information return forms that need to be filed to report foreign entities; such as, Form 5471 (Information Returns of U.S. Persons with Respect to Certain Foreign Corporations) for foreign corporations, Form 8865 (Return of U.S. Persons with Respect to Certain Foreign Partnership) for foreign partnerships, Form 8858 (Information Return of U.S. Persons with Respect to Foreign Disregarded Entities) for foreign disregarded entities, and Forms 3520 (Annual Return to Report Transactions with Foreign Trusts and Receipt of Certain Foreign Gifts) and Form 3520-A (Annual Information Return of Foreign Trust with a U.S. Owner) for foreign trusts. Reporting requirements generally kick in once an individual or entity owns or acquires more than 10 percent of a foreign corporation or partnership. Do not forget that most foreign companies will maintain their financial statements according to international financial reporting standards (IFRS); however, this is not accepted for U.S. tax reporting purposes. Converting IFRS financials to U.S. generally accepted accounting principles (GAAP) can be a tedious and complex task for even the most experienced accountants. In the unique situation that an individual's tax status changes during the tax year, he or she will need to complete and submit a dual-status tax return. Common scenarios requiring a dual-status tax return include: a nonresident alien moving to the U.S. and becoming a tax resident, a U.S. citizen renouncing U.S. citizenship, or someone abandoning his or her U.S. Green Card. The dual-status return consists of two component; the tax return and a dual-status statement. A person's status at the end of the tax year determines which form should be used as the tax return and which should be used for the dual-status statement. The dual-status statement covers the period prior to the taxpayer's change of status. For example, Robert is a U.S. citizen who lives in Germany. he relinquished his U.S. citizenship on October 15, 2017. Since Robert is no longer a U.S. citizen and does not meet the substantial presence test, he is no longer considered to be a U.S. resident for tax purposes. Robert needs to comply with his U.S. tax obligations, and report his worldwide income to the U.S. for the period he was a U.S. citizen. After his renunciation, Robert does not have any U.S. -sourced income; therefore, he has no obligation to report his ost renunciation income to the U.S. 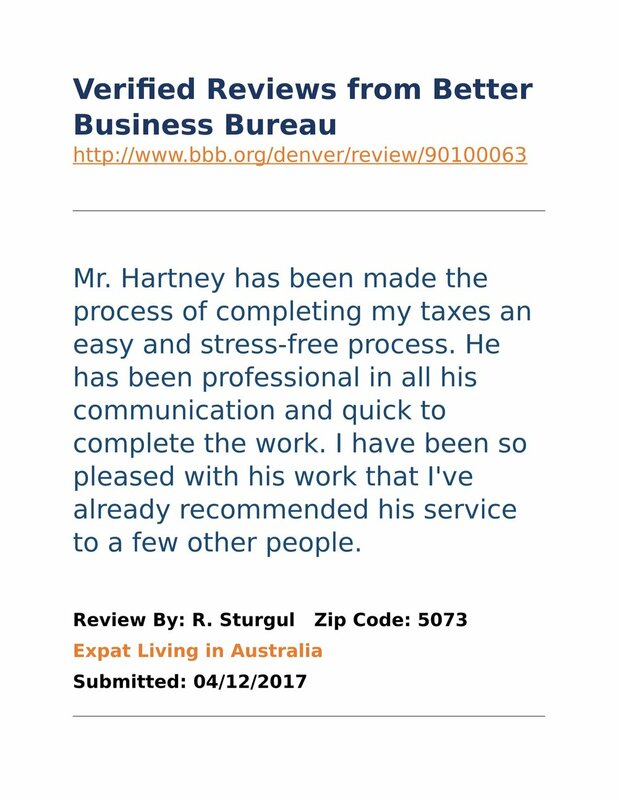 In order to properly report his income to the U.S., Robert needs to file a dual-status tax return. He would file Form 1040NR (U.S. Nonresident Alien Income Tax Return) as the tax return portion because he was classified as a non-resident alien at the end of the 2017 tax year. Orebert would also need to prepare a dual-status statement, which should be attached to the 1040NR. The dual-status statement reports Robert's taxable income during the time period he was a U.S. citizen. In Robert's case, he would also need to file Form 8854 (Initial and Annual Expatriation Statement) to inform the IRS of his relinquishment. Complete and sign a statement on the Certification by U.S. Person Residing Outside of the U.S. (Form 14653) certifying (1) that you are eligible for the Streamlined Foreign Offshore Procedures; (2) that all required FBARs have now been filed (see instruction 8 below); and (3) that the failure to file tax returns, report all income, pay all tax, and submit all required information returns, including FBARs, resulted from non-willful conduct. You must submit the original signed statement and you must attach copies of the statement to each tax return and information return being submitted through these procedures. You should not attach copies of the statement to FBARs. Failure to submit this statement, or submission of an incomplete or otherwise deficient statement, will result in returns being processed in the normal course without the benefit of the favorable terms of these procedures. for relevant Canadian plans, see SDO FAQ 8 for current information (Form 8891 is no longer required). For information on the meaning of foreign financial asset, see the instructions for FinCEN Form 114 and the instructions for Form 8938. Complete and sign a statement on the Certification by U.S. Person Residing in the U.S. (Form 14654) certifying: (1) that you are eligible for the Streamlined Domestic Offshore Procedures; (2) that all required FBARs have now been filed (see instruction 9 below); (3) that the failure to report all income, pay all tax, and submit all required information returns, including FBARs, resulted from non-willful conduct; and (4) that the miscellaneous offshore penalty amount is accurate (see instruction 5 below). You must maintain your foreign financial asset information supporting the self-certified miscellaneous offshore penalty computation and be prepared to provide it upon request. You must submit an original signed statement and attach copies of the statement to each tax return and information return being submitted through these procedures. You should not attach copies of the statement to FBARs. Failure to submit this statement, or submission of an incomplete or otherwise deficient statement, will result in returns being processed in the normal course without the benefit of the favorable terms of these procedures. for relevant Canadian plans, see SFO FAQ 2 for current information (Form 8891 is no longer required). 8. For each of the most recent 6 years for which the FBAR due date has passed, file delinquent FBARs according to the FBAR instructions and include a statement explaining that the FBARs are being filed as part of the Streamlined Filing Compliance Procedures. You are required to file these delinquent FBARs electronically at FinCen. On the cover page of the electronic form, select “Other” as the reason for filing late. An explanation box will appear. In the explanation box, enter “Streamlined Filing Compliance Procedures.” If you are unable to file electronically, you may contact FinCEN's Regulatory Helpline at 1-800-949-2732 or 1-703-905-3975 (if calling from outside the United States) to determine possible alternatives to electronic filing. Intend to remain there for an indefinite period of time. It is the place where you have a settled connection for legal purposes, either because your home is there, or because the place is assigned to you by law. In order to change your domicile, you must not only move your residence to a new locality, but you must also intend to remain in that new locality. Until the new domicile is acquired, the old one remains. And simply changing your residence, without more, does not change your domicile. The element of "intent" will be determined by looking at all the circumstances surrounding your move and then drawing a reasonable inference. Therefore, you cannot establish domicile in a particular place simply by declaring that you regard that place as your domicile if your acts or other facts are inconsistent with that declaration. Some of the pro-active things you can do to establish "domicile" in a particular state are registering to vote, getting a driver's license, and opening a bank account. However, if another state claims you are still domiciled there, those indicia of intent may not be sufficent alone to satisfy the state that you have a new domicile elsewhere States will also look at such things as where you have family ties, where you own property and have other financial holdings, where is your principal place of business or work, and where you maintain memberships in a church or synagogue or fraternal organizations or clubs. Thus, your goal is to show that not only do you intend to change your domicil to another state or even another country, but to take actions that back up that intent. A "residence" is defined as a place of abode, a dwelling, the act of abiding in a place for some amount of time. It is distinguished from "domicile" in that you can have a residence in more than one place, and you can be resident in a place without being domiciled there. Thus, in a simple example, it should be apparent that you could be a resident in France while retaining your domicile in New Jersey. Tax Consequences of "Domicile" and "Residence"
You may be thoroughly confused by the "legalese" of the above sections, but if you are reading this at all, it is probably because you have some concern about state tax liability. This is because many states, once they have their "tax hooks" in you, don't want to let go. Unless they are satisfied you are no longer domiciled in their state, they may pursue you, even overseas, in an effort to collect tax. Other states, interestingly, are quite generous in this regard. They will allow you to still be considered domiciled in their state, but will not tax you on your foreign income so long as you meet certain requirements. Still other states, bless their hearts, have no income tax at all so it becomes very attractive to be domiciled in those states. Many states have a provision where you will be taxed as a resident of the state if you are physically present in that state for a specified number of days in the tax year (usually around 183). This rule looks only to physical presence-not domicile. Therefore, it is possible that you will be domiciled in one state and subject to tax there at the same time that you are physically present in another state and thus subject to tax by that state as well. in most cases, you will need to file a tax return in each state and try to get a credit in one state for the tax paid in the other state. Which state actually gets your tax dollar will depend on the states involved. To complicate matters even further, some states will give you a credit for foreign tax paid! 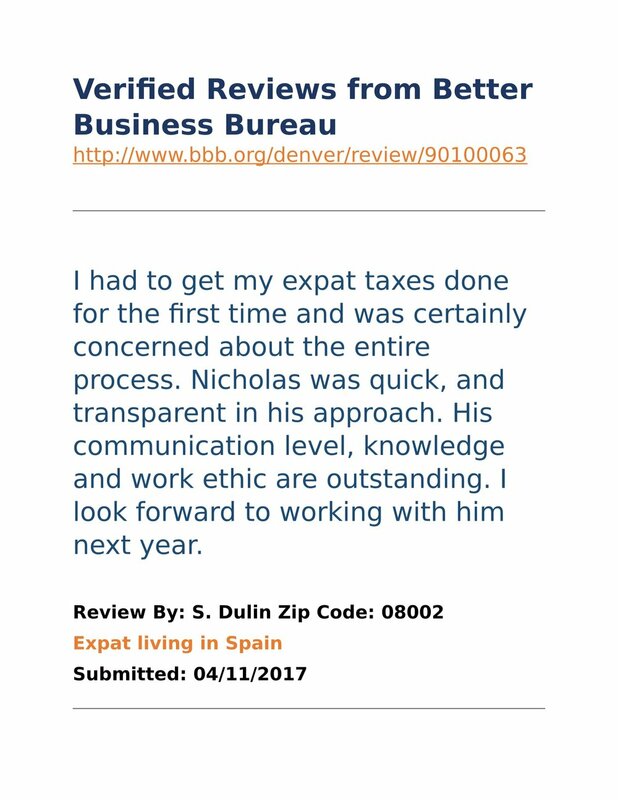 If you move overseas mid-year and qualify as "physically present" in a particular state for the tax year, you should file a part-year return with that state, assuming you are not also domiciled in that state. If you have a domicile elsewhere (say in a no-ax state), you can indicate that on the return. Finally, most states have tax rules for nonresidents. A "nonresident" is generally defined as an individual who earns income or interest in the specific state, but does not live there or lives there less than the time required to be a "resident" Usually 183 days in the tax year). You will need to file a "nonresident" return in that state if you meet this definition, and your income is above the filing threshold for the state. Suppose, for example you owned a rental property in Virginia as well as had money in several Virginia banks. your net income from these investments was $8,000. Even if you lived overseas for the last 2 years and considered yourself to be domiciled in Florida, you would still need to file a nonresident return for Virginia and pay Virginia tax on the $8,000. One final note: Most states have a filing threshold meaning that, if you make less than a certain amount, you don't need to file. However, if you fall below that threshold because of the foreign income exclusion, you are still better off to file and report the income. This preventivie measure not only establishes your domicile in that state, but protects you from non-filing penalties or other possible claims by the state. If there is anything outside the ordinary going on with your return (i.e. you more than 2 rental properties, need multiple years prepared, sale of real estate, etc.) please make a note in the message box, otherwise your return will cost $350 for a Federal return, $75 per state needed, and $50 per FBAR filing. Thank you! Nicholas Hartney, EA will contact you shortly with a quote.